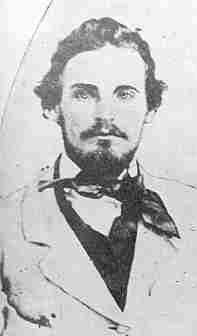 John Brown’s band consisted of twenty-one men besides himself daughter Annie and daughter-in-law Martha, Oliver’s wife. Of the men there were sixteen white and five colored. Most of the whites were commissioned as officers in his army. Stevens, John Henry Kagi, Cook, Brown’s three sons-Oliver, Owen and Watson, Tidd, Leeman, William Thompson and J.G. Anderson were all captains. Hazlett, Edwin Coppoc and Dauphin Thompson were lieutenants. The soldiers were Stewart Taylor, Barclay Coppoc, F.J. Meriam, Shields Green, Lewis Leary, John Copeland, Osborn Anderson and Dangerfield Newby. The eldest of the band after Brown was Newby, aged forty-four, Owen Brown came next, at thirty-five; all the others were under thirty. Oliver Brown, Barclay Coppoc and Leeman were not yet twenty-one. The average age of the twenty-one followers was twenty-five years and five months. Only one was of foreign birth; nearly all were of old American stock. John Brown was born in Torrington, CT, on May 9,1800. In 1820 he married Dianthe Lusk, who died in 1832, during childbirth. Their marriage produced seven children: John Jr. (b. July 25, 1821); Jason (b. January 19, 1823); Owen (b. November 4,1824); Frederick I (b. January 9,1827, d. March 31,1831); Ruth (b. February 18, 1829); Frederick 11 (b. December 21,1830, d. August 20,1856, at Osawatomie Kansas). In 1833, John Brown married teenager Mary Ann Day, of Meadville, PA, who bore a total of thirteen children, although only six lived to adulthood. All together, of John Brown’s twenty children, only half survived their childhoods, and two more were killed during the raid on Harper’s Ferry. John and Mary Ann’s children were: Watson (b.? ); Salmon (b. October 2,1856); Sarah I (b. 1834, d. 1843); Charles (b. 1837, d. 1843); Oliver (b? ); Peter (b. 1840, d. 1843); Austin (b. 1842, d. 1843); Annie (b. September 23,1843); Sarah (b. September 11, 1846); Ellen I (b.? d. 1848); Ellen 11 (b. September 25,1854); Amelia (b?). The entire Brown family was involved in abolitionist work, and Brown’s surviving sons were among his most trusted lieutenants. 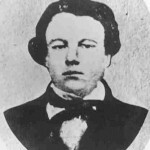 Son Frederick died during the Osawatomie raid in 1856. Jason and Salmon did not take part in the assault on Harper’s Ferry; the rest of the family did. 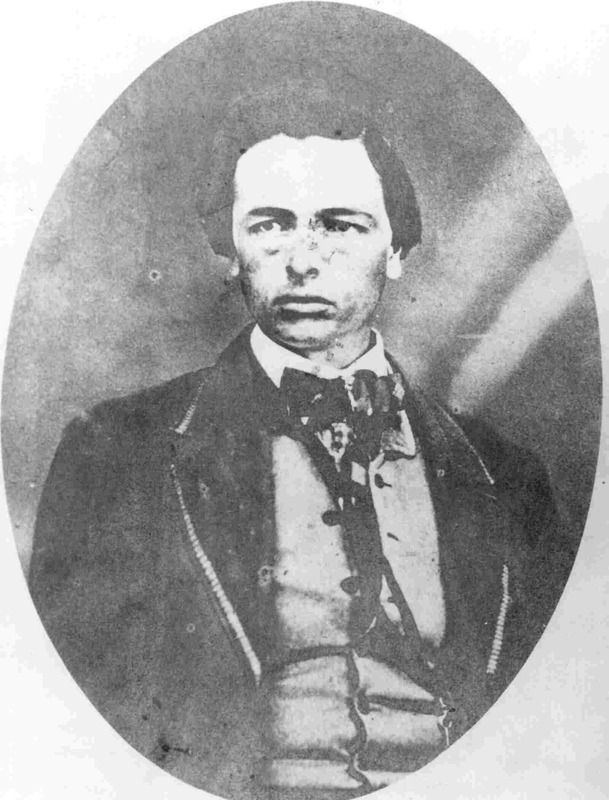 John Henry Kagi was the best educated of all the raiders, but was largely self-taught. Many admirably written letters survive as the productions of his pen, in the New York Tribune, the New York Evening Post, and the National Era. He was, moreover, an able man of business, besides being an excellent debater and speaker. He was an expert stenographer and a total abstainer. He was, however, cold in manner, rather coarse of fiber and rough in appearance, and an agnostic. His father was the respected village blacksmith in Bristolviffe, Ohio, whose family was of Swiss descent, the name being originally Kagy. 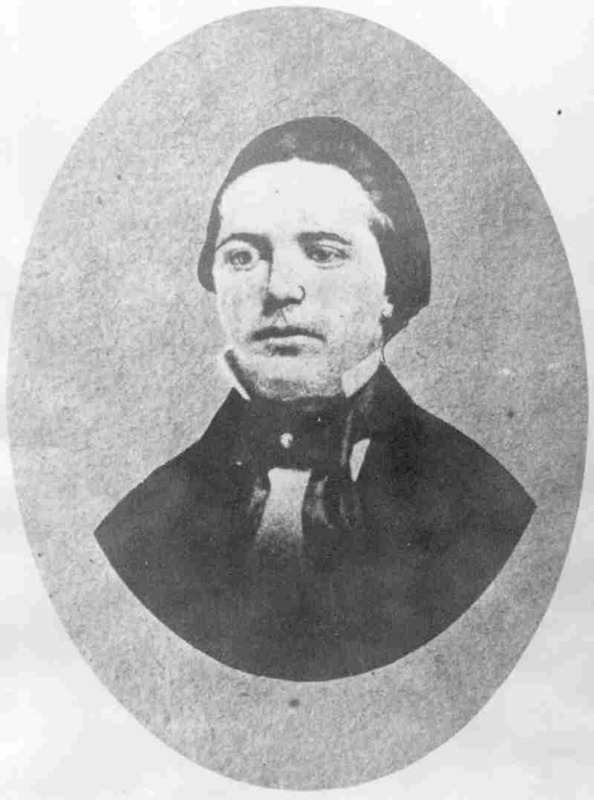 John A. Kagi was born at Bristolville, Trumbell county, Ohio, March 15, 1835; and was killed October 17, 1859. 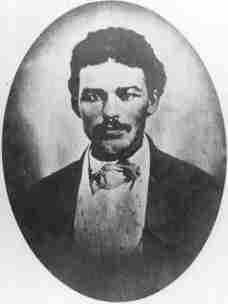 In 1854-55 he taught school at Hawkinstown, Virginia, where he obtained a personal knowledge of slavery. This resulted in such abolition manifestations on his part, that he was compelled to leave for Ohio under a pledge never to return to Hawkinstown. Kagi then went to Nebraska City, Nebraska, where he was admitted to the bar. 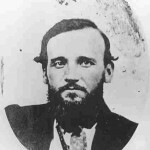 He next entered Kansas with one of General James H. Lane’s parties. 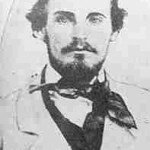 He enlisted in A. D. Stevens’s (“Colonel Whipple’s”) Second Kansas Militia, and was captured in 1856 by United States troops. Kagi was imprisoned first at Lecompton and then at Tecumseh, but was finally liberated. He was assaulted and severely injured by Judge Elmore, the pro-slavery judge, who struck him over the head with a gold-headed cane, on January 31, 1857. Kagi drew his revolver and shot the judge in the groin. Elmore then fired three times and shot Kagi over the heart, the bullet being stopped by a memorandum-book. Kagi was long in recovering from his wounds. 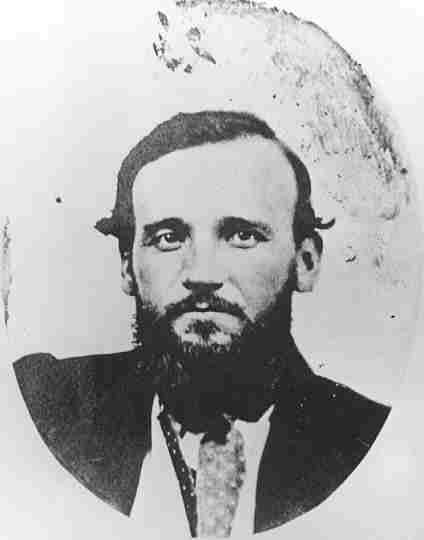 After a visit to his Ohio home he returned to Kansas and joined John Brown. He bore the title of Secretary of War in the provisional government, next in command to John Brown; was also the adjutant. When in Chambersburg as agent for the raiders, he boarded with Mrs. Mary Rittner. Francis Jackson Meriam was born November 17, 1837, at Framingham, Massachusetts, into an abolitionist family. Meriam came to Kansas, but seems to have borne little part in the struggle here, as he did not arrive before 1858. Was ardent in his desire to fight slavery, and solicited service under John Brown. Was educated; had some money. Escaped from Harper’s Ferry after the attack. He was in Boston, coming from Canada on the day of John Brown’s execution, but was finally induced by friends to go back to Canada, and afterwards settled in Illinois, and enlisted in the Union army. 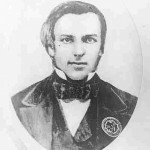 John E. Cook, who could successfully have escaped had he not, against the advice of his comrades, been reckless in his search for food, was born in the summer of 1830, in Haddam, Connecticut. He was of a well-to- do family, and studied law in Brooklyn and New York. Five feet and seven inches in height, handsome, quick in movement, he was an incessant talker, blue-eyed, and had curly blonde hair. A devoted follower of Brown, though considered indiscreet. He went to Kansas in 1855. His movements from the time of his first meeting with Brown, just after the battle of Black Jack, in June, 1856, until after his capture, are set forth in his ” Confession” made while in jail (published at Charlestown as a pamphlet in the middle of November, 1859, for the benefit of Samuel C. Young, who was crippled for life in the fighting at Harper’s Ferry). For this confession Cook was severely censured at the time by the friends of Brown; he was even called the “Judas” of the raid. Cook was the one man who believed that it was best to attack the town of Harper’s Ferry, and therefore was sent to that town over a year in advance of others, and lived in the city. 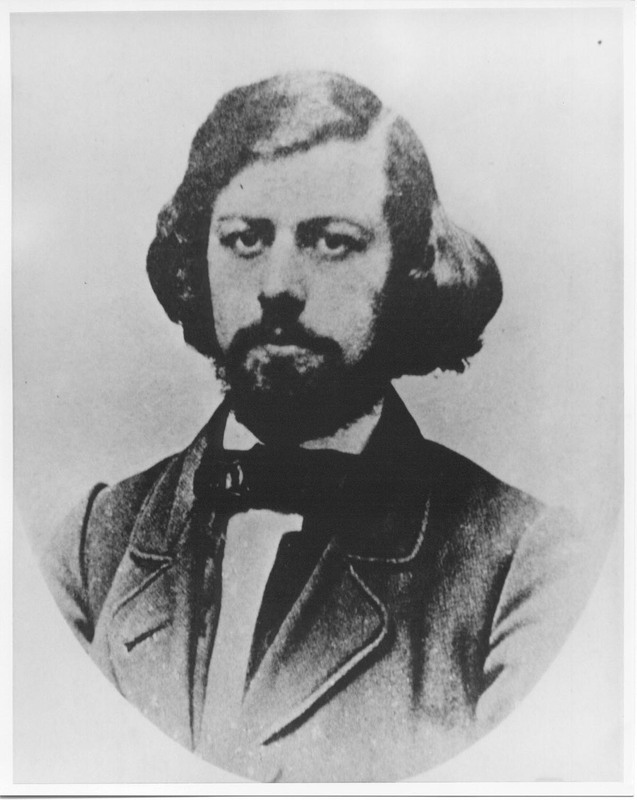 He is described variously as a school-teacher or a lock-tender, although in the registration of his marriage to Mary V. Kennedy, of Harper’s Ferry, April 18, 1859, he was described as a book-agent. 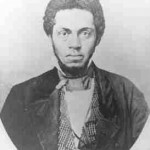 He passed much of his time in gathering information about slaves, and was perhaps in communication with them, although this is denied by the family of Brown. it is reasonable to believe that he had found that the slaves would not rise at the first appearance of Brown, though he believed they would flock to the standard when the blow had been struck. He was captured eight miles from Chambersburg, Pennsylvania, October 25,1859, and hanged on December 16. He was a remarkably fine shot, and had seen much fighting in Kansas. He was reckless, impulsive, indiscreet, but genial, generous and brave. 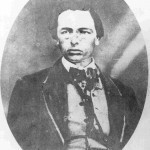 Charles Plummer Tidd, known as Charles Plummer, was a captain in Brown’s army. He was born in Palermo, Maine, in 1834, and changed his name after the raid in order to avoid possible arrest and trial as a Harper’s Ferry raider -a precaution of greater importance when he entered the army in 1861. He died of fever, on the transport Northerner, as a first sergeant of the Twenty-first Massachusetts Volunteers, on February 8,1862, of the battle of Roanoke Island in his ears. This he had particularly wished to take part in, for ex-Governor Henry A. Wise was in command of the Confederates, his son, 0. Jennings Wise, being killed in the engagement. Tidd had enlisted July 19, 1861, as a private. His grave is No. 40 in the New Berne, N. C., National Cemetery. 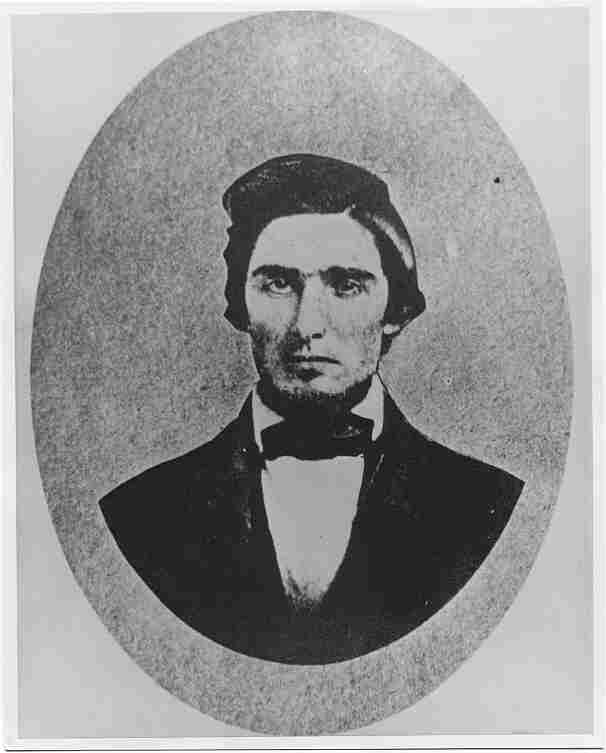 Jeremiah Goldsmith Anderson, one of Brown’s lieutenants, was born April 17, 1833, in Indiana, and was therefore in his twenty-seventh year when killed at Harper’s Ferry. He was the son of John Anderson, and was grandson of slaveholders; his maternal grandfather, Colonel Jacob Westfall, of Tygert Valley, Virginia, was a tier in the Revolutionary War and a slaveholder. 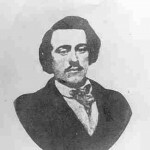 Edwin Coppoc, brother of Barclay, was captured with Brown in the engine house, tried immediately after him, sentenced on November 2, and hung with Cook on December 16, 1859. 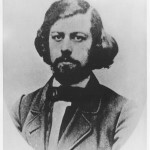 The father of the Coppocs died when Edwin was six, the latter having been born June 30, 1835. For nine years thereafter Edwin lived with John Butler, a farmer, near Salem, Ohio, removing then with his mother to Springdale, Iowa. This place he left in the spring of 1858, to become a settler in Kansas. He took no part in the Territorial troubles, and returned to Springdale in the autumn of 1858 when he became acquainted with Brown. He always bore an excellent reputation as an honest, brave, straightforward, well- behaved man, and his death was particularly lamented by many friends. An exemplary prisoner, there were many Southerners who hoped for his pardon. He was buried first in Winona [later in Salem Ohio], after a public funeral, attended by the entire town. In jail he regretted his situation, wrote his mother of his sorrow that he must die a dishonorable death, and explained that he had not understood what the full consequences of the raid would be. 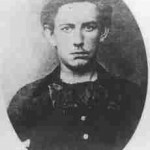 Barclay Coppoc, Edwin’s brother, was born at Salem, Ohio, January 4,1839, and had not attained his majority at the time of the raid. He escaped from Harper’s Ferry, but only to meet a tragic fate in that he was killed by the fall of a train into the Platte river from a trestle forty feet high, the supports of which had been burned away by Confederates. Coppoc was then a first lieutenant in the Third Kansas Infantry, Colonel Montgomery’s regiment, having received his commission July 24,1861. 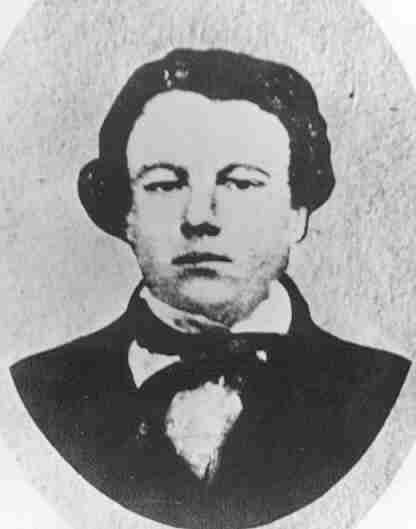 Watson Brown, born at Franklin, Ohio, October 7,1835, married Isabella M. Thompson in September 1856, and died of his wounds at Harper’s Ferry on October 18,1859. He was: “Tall and rather fair, with finely knit frame, athletic and active.” Of little education, he was a man of marked ability and sterling character, who bore well the family responsibilities, which fell to him when all the other men of the clan went to Kansas. His son lived only to his fifth year; his widow later married her husband’s cousin, Salmon Brown. Anne (Annie) Brown (1843-1926) was born in Richfield, Ohio. Annie spent time at the Kennedy Farm, before the raid on Harpers Ferry, cooking for the raiders. She moved to California in 1864 with her mother and married Samuel Adams in Red Bluff in 1869. They settled in Humboldt County where she died in 1926. She is buried in Shively, California. Oliver Brown, Captain. 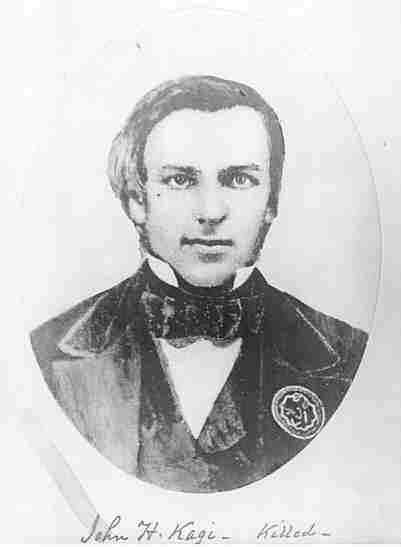 Oliver was the youngest son of John Brown to reach adulthood. 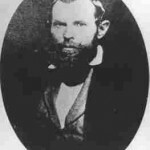 He was born in Franklin, OH March 9,1839, and married Martha E. Brewster in 1858. 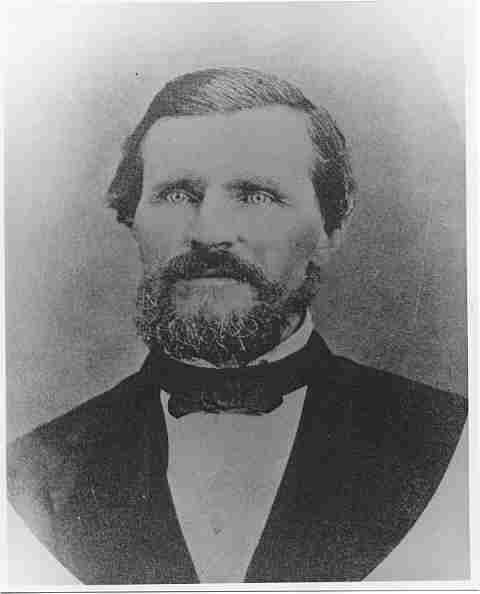 Oliver traveled to Kansas with his father and was involved in the warfare there. He died of wounds received during the raid on Harpers Ferry and was buried on the banks of the Shenandoah River. His remains were exhumed along with those of the Other raiders and reinterred in North Elba in 1899. 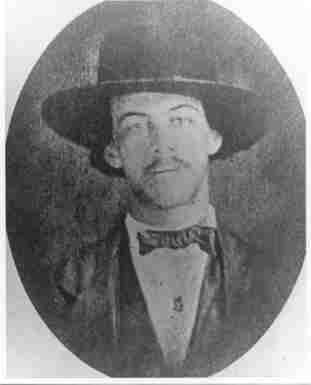 Aaron Dwight Stevens, was in many ways the most interesting and attractive of the personalities gathered around John Brown. 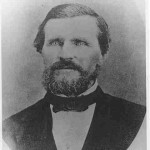 Born in Lisbon, New London county, Connecticut, March 15,1831, he ran away from home at the age of sixteen, in 1847, and enlisted in a Massachusetts volunteer regiment, in which he served in Mexico during the Mexican War. 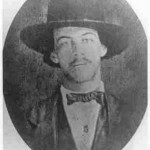 Later, he enlisted in Company F of the First United States Dragoons, and was tried for mutiny, engaging in a drunken riot, and assaulting Major George A. H. Blake of his regiment,” at Taos, New Mexico, in May, 1855. Stevens was sentenced to death, but this was commuted by President Pierce to imprisonment for three years at hard labor at Fort Leavenworth, from which post he escaped and joined the Free State forces. In these he became colonel of the Second Kansas Militia, under the name of Whipple. He met John Brown August 7, 1856, at the Nebraska line, when Lane’s Army of the North marched into Kansas and became one of Brown’s bravest and most devoted followers. The never-married Stevens came of old Puritan stock, his great-grandfather having been a captain in the Revolutionary army. He was a man of superb bravery and of wonderful physique; he was well over six feet, was blessed with a great sense of humor, and was sustained at the end by his belief in spiritualism. George B. Gill wrote of him in 1860: “Stevens–how gloriously he sang! His was the noblest soul I ever knew. Though owing to his rash, hasty way, I often found occasion to quarrel with him more so than with any of the others, and though I liked Kagi better than any man I ever knew, our temperaments being adapted to each other, yet I can truly say that Stevens was the most noble man that I ever knew.” George H. Hoyt, Brown’s counsel, in a letter to j W Le Barnes, October 31, 1859, thus recorded his first impression of Stevens at Harper’s Ferry: “Stevens is in the same cell with Brown. I have frequent talks with him. He’s in a most pitiable condition physically, his wounds being of the most painful and dangerous character. He has now four balls in his body, two of these being about the head and neck. He bears his sufferings with grim and silent fortitude, never complaining and absolutely without hope. He is a splendid looking young fellow. Such black and penetrating eyes! Such an expansive brow! Such a grand chest and limbs! He was the best, and in fact the only man Brown had who was a good soldier besides being reliable otherwise.” Stevens was executed March 16 1860. 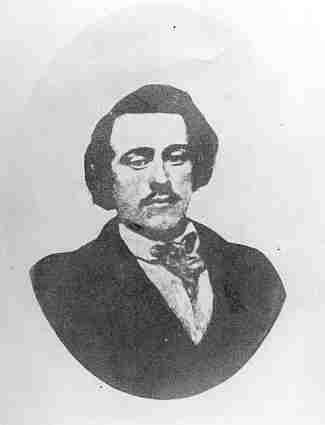 Stewart Taylor, the only one of the raiders not of American birth, was but twenty-three when killed, having been born October 29,1836, at Uxbridge, Canada. Of American descent, and a wagon maker by trade, he went to Iowa in 1853, where in 1858 he became acquainted with John Brown through George B. Gill. He is described as being “heart and soul in the anti-slavery cause. An excellent debater and very fond of studying history. He stayed at home, in Canada, for the winter of 1858-59, and then went to Chicago, thence to Bloomington, Illinois, and thence to Harper’s Ferry. He was a very good phonographer [stenographer], rapid and accurate. 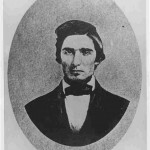 He was overcome with distress when, getting out of communication with the John Brown movement, he thought for a time that he was to be left out.” – Letter of Jacob L. Taylor, Pine Orchard, Canada West, April 23, 1860, to Richard J. Hinton,-in Hinton Papers, Kansas Historical Society. Taylor was a spiritualist. 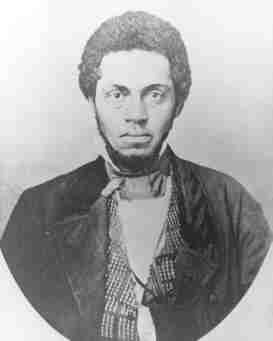 Shields Green, Fugitive slave from Charleston, S. C. Joined Brown at Chambersburg, having come there with Frederick Douglass, August 19th; was known as the “Emperor,” but how he obtained this name is not now known. 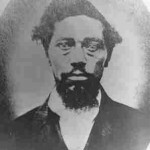 He went on with Brown when Douglass turned back, telling his former benefactor “I believe I’ll go with the old man.” Green’s age is said to have been twenty-three years. 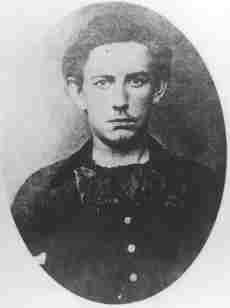 Lewis Sheridan Leary, colored, left a wife and a six months old child at Oberlin, to go to Harper’s Ferry. Said to have been the first Oberlin recruit to Brown’s army. Was furnished money to go from Oberlin to Chambersburg, and accompanied John A. Copeland to that town. Was killed at Harper’s Ferry. Leary’s child was subsequently educated by James Redpath and Wendell Phillips. 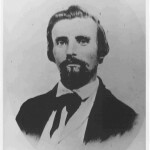 Leary was descended from an Irishman, Jeremiah O’Leary, who fought in the Revolution under General Nathanael Greene, and married a woman of mixed blood, partly African, partly of that Croatan Indian stock of North Carolina, which is believed by some to be lineally descended from the “lost colonists ” left by John White on Roanoke Island in 1587. Leary, like his father, was a saddler and harness-maker. 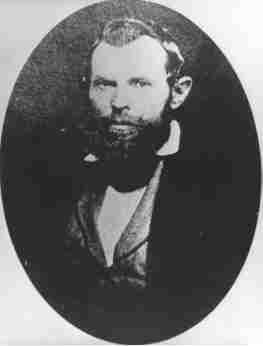 In 1857 he went to Oberlin to live, marrying there, and making the acquaintance of John Brown in Cleveland. He survived his terrible wounds for eight hours, during which he was well treated and able to send messages to his family. He is reported as saying: “I am ready to die.” His wife was in ignorance of his object when he left home. 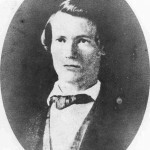 Leary was born at Fayetteville, North Carolina, March 17, 1835, and was therefore in his twenty-fifth year when killed. 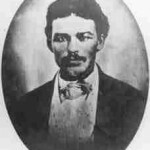 Dangerfield Newby, African American, was born a slave in 1815, in Fauquier County, Virginia. His father, a Scotchman, freed his mulatto children. Newby’s wife, from whom he received touching letters, was the slave of Jesse Jennings, of Arlington [Warrenton? ], Virginia. She and her children were “sold south” to Louisiana after the raid; conflicting reports have her either remaining there or ultimately moving to Ohio. The shot that gave to Newby his death-wound cut his throat from ear to ear, the missile being a six-inch spike in lieu of a bullet. Newby was six feet two inches tall, a splendid physical specimen, of light color. 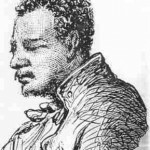 John Anthony Copeland, Jr., a free black, was born at Raleigh, North Carolina, August 15, 1834, and executed at Charlestown, December 16, 1859. 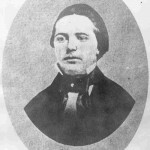 His parents removed to Oberlin, Ohio, in 1842. 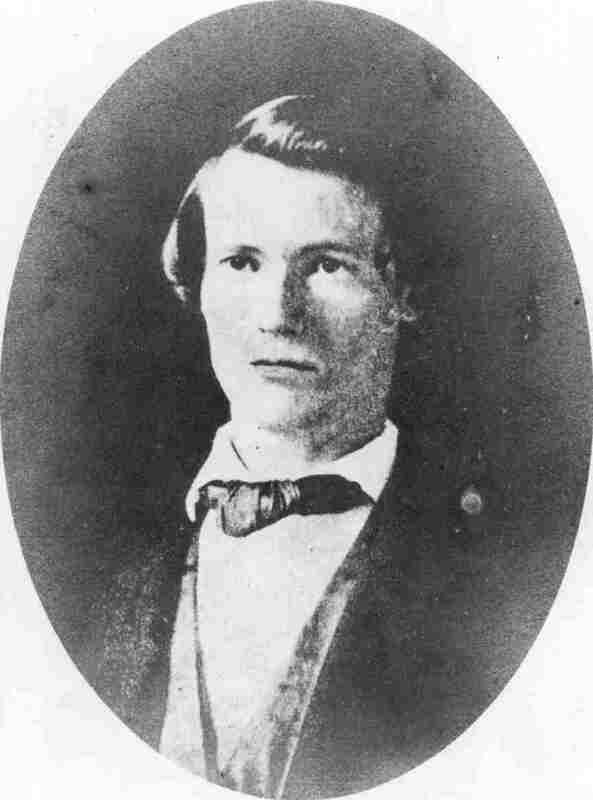 He was for some time a student in the preparatory department of Oberlin College, and was enlisted for John Brown in September, 1859, by Lewis Sheridan Leary, his uncle, who was at that time also residing at Oberlin. 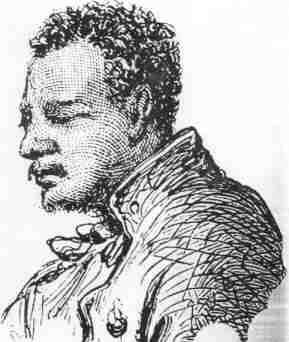 He was one of the thirty- seven men concerned in the famous Oberlin rescue of a fugitive slave, John Price, for which he was for some time imprisoned at Cleveland. 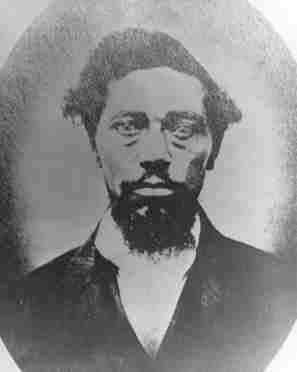 Osborn Perry Anderson, one of Brown’s African-American followers, survived the raid to die of consumption at Washington, D. C., December 13,1872. 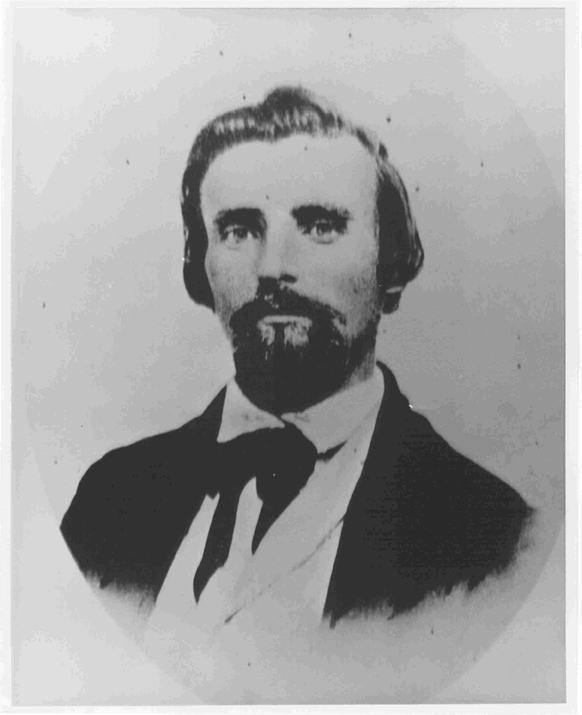 Born free, July 27,1830, at West Fallowfield, Pennsylvania, he was in his thirtieth year at the time of the raid, of which and of his escape he left a record in “A Voice from Harper’s Ferry.” He learned the printing trade in Canada, where he met John Brown in 1858. After his escape he returned to Canada. During the Civil War, in 1864, he enlisted, became a non- commissioned officer, and was mustered out at the close of the war in Washington. Owen Brown, born November 4,1824, at Hudson, Ohio, was John Brown’s third son, and his stalwart, reliable lieutenant both in Kansas and at Harper’s Ferry. It was due largely to his unfaltering determination and great physical strength that the little group of survivors of which he was the leader reached safe havens. After the war he was for some time a grape-grower in Ohio, in association with two of his brothers. Thence he removed to California, where he died, January 9, 1891, in his mountain home, “Brown’s Peak,” near Pasadena, poor in worldly goods, but with the respect and regard of his neighbors. A marble monument marks his mountainside grave. He never married. He was, like all the Browns, original in expression and in thought, and not without considerable humor. He was the only one of the five men who escaped from the raid who did not enter the Union army, and he was the last of the raiders.